Bohemian Guitars was the brainchild of South African brothers Adam and Shaun Lee who picked up the idea of the old South African township oilcan guitars made from old junk cans and took it with them to their home in Georgia USA. 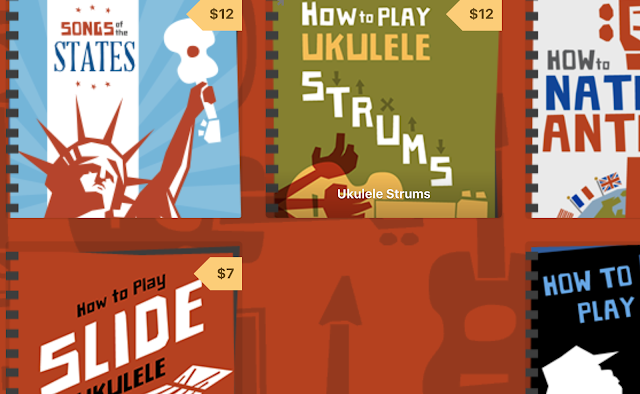 Their first instruments were oil can electric guitars (which they still make), but they hit the press with a big fanfare in 2015 with an Indiegogo campaign to launch a ukulele version. In both cases we are talking about square cans into which a neck is bolted, strung with steel and amplified with a pickup like an electric guitar. A neat enough idea and the original hand made oil cans from South Africa were much revered if you could get one. But I have to divert a little here on the general concept to state my position from the outset. In fact it's the same position as I held when I first saw these launch. To start with, the whole point of the South African township electric guitar WAS that it was made from old discarded cans.. used recycled cans... They were salvaged from the townships where people had little to no money and literally lived amongst rubbish and represented a 'new from the old' concept that was both inventive but also deeply moving and highlighted the injustices and poverty of the townships. So when you saw those originals with logos saying things like 'Castrol' - that is because they were genuine old oil cans, cleaned up and turned into guitars. These though are not. They come in a variety of designs that are meant to look like old cans, but the cans are brand new and screen printed with their own branding (as you will see from this review example it says 'Bohemian Motor Oil'). That comes across to me a little like appropriation and kind of cheesy if I am honest. These cans are not used or scavenged by people trying to make the best of what little they had - they were made for the purpose of creating a new instrument, and I am not sure I am on board with that. 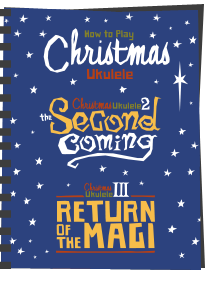 Secondly, when the ukulele version of this launched with such great fanfare, there were suggestions that these were the first oil can ukuleles around. I'm afraid that's just not true either. As just one example, for many years, Frenchman David Rebiere (David L'Huile or 'Oily David'!) 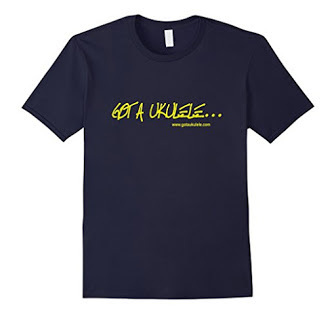 has been making oil can ukuleles under his brand 'Ukubidon'. And guess what? David makes them out of genuine used oil cans in the original spirit. Others have done the same too. You see my point? 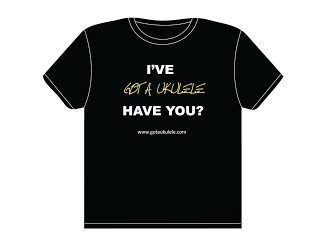 Anyway, I just wanted to be clear that I didn't really like the concept or accept that it was in any way 'new' in the ukulele world. Still, it is what it is. A can uke. Let's take a closer look. 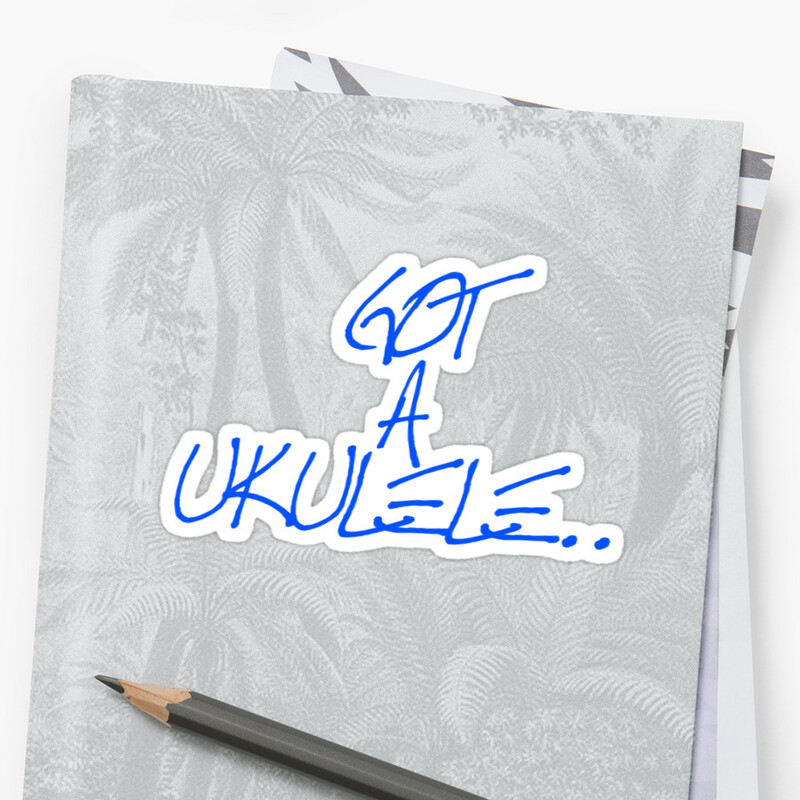 The ukulele version is indeed made from a largish can into which a neck is attached. The can is a rectangular box, complete with filler screw cap and very much an oil can in every way... only a brand new one.. that never held any oil.. As I say, this is branded with a faux motor oil design but they come in a range of other Bohemian branded designs too. Incidentally, whilst I complain above that they are not genuine used oil cans, Bohemian do advise that the metal is recycled, so there is that I suppose. There isn't much more to say about the body really - it's a tin box. Oh, other than it has rubber feet on it to allow you to stand it up. That's neat. Elsewhere on the 'top' we have a couple of pots with Stratocaster style knobs controlling volume and tone. As a Strat owner, no complaints for me about the looks of these. And, of course you also get a pickup. In this case it's a single coil pickup with four pole pieces. Considering the price it will be an off the peg Chinese single coil rather than anything boutique or hand wound and they tend to hum like crazy. We shall see. Connection is via a jack socket in the side which means you can still stand it up if you have a cable plugged in. Flipping it over and you note a back panel held in place by six screws. Thankfully that is removable as you would need to get inside in the event of a failure with some of the wiring. The neck is made of maple and as I say above, runs right through the body with a pole piece to the base for stability. It's finished in a smooth satin and looks quite nice. There are joints at the heel and headstoc. The profile is narrow at just over 34mm at the nut. Remember though, this is fully steel strung so nut width is nowhere near as precious for space as the strings are so thin. It's the reason electric guitar necks are usually much narrower than acoustic guitars. There is nothing topping it for a fingerboard and like many electric guitars the frets are set directly into the maple. I like that. You get 19 of those which stop at the top of the body. That might seem a lot for a soprano, and in fact the whole thing feels big for a sop. 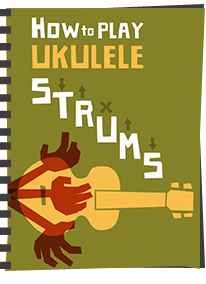 But the ukulele scales are dictated by scale length not by instrument size (when oh when will the Chinese Amazon flood instruments recognise that and stop naming them by the overall length? It's an utterly meaningless measurement!). Anyway, this is 13" scale length so that is indeed a soprano. Fret markers are in guitar style black dots at the 3rd, 5th, 7th, 9th, 12th and 15th with the 12th being a double. Sadly there are no side markers. Oh.. and the fret ends are sharp.. Really, really sharp. The nut material isn't specified but looks like plastic and the headstock fans out to a pleasing unique shape. I would ordinarily say the headstock was too big if this was a regular uke but coupled with the large body it looks in proportion overall. This one is faced in red, but other body finishes get body matching headstock face colours. Stuck onto that is a cheap looking Bohemian logo which looks like a cheap sticker from a childs craft box. The logo on this review model was also lifting off out of the box but a bit of squeezing it seems to have it held back in place. I'd prefer this was an inlay for that very reason! Tuners are unbranded sealed chrome gears with not much more to say. They work ok, but I can't say much more than that.. It comes with what I can only describe as electric guitar strings (as you might expect) of gauges 12, 17, 20 and 14. That's clearly a hybrid set for the instrument as whilst the 12, 14 and 17 can be found regularly in light or regular electric guitar string packs, the 20 is a bit of an odd one. This is actually a high G too. It's comparable to what Risa would call a 'heavy' gauge for their Les Paul electric, so there you go. One way or the other though - they are electric guitar strings. The price has also foxed me a little. On the Bohemian website these are up for $230 (which is about £175 in the UK), but the UK RRP is now about £110. That reduction in the pounds price almost never happens over here as we tend to get parity to the dollar, so I wonder if they were struggling to shift them on this side of the Atlantic. Still a welcome bonus for UK players and a better deal for us for once! I can't say the build is great on account of that woeful bridge placement, the sharp frets and the peeling label, but I suppose elsewhere things are ok for a can. 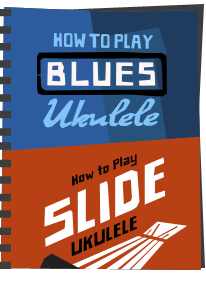 It's hard of course to judge this like a regular ukulele, being a can and all, but all other parts seem to be put together ok. Setup is a different matter though and I come on to that below. It's colossally heavy which actually surprises me for a thin tin body. That heaviness is really just in the body too so I can't see how you would play this without a strap whilst standing. Thankfully it comes with strap buttons. Looking inside is rather disappointing too. Rather than the hatch providing what I thought would be easy access to the pickups and controls to fix faults, they are all hidden behind the neck piece which looks like you would need to fully unbolt the neck to actually get at anything. Too much hassle for me. Lets move on. Playing it, it naturally it makes no real sound when unplugged so I can really only judge this when amplified. And that always presents an issue in my video, as below, as the plugged in sound is just a recording of an amplifier. And you all probably have different amplifiers. For the test though it's mainly just running on a completely clean setting through a Yamaha THR10. It's really uncomfortable to hold strapless and the flexible metal of the body makes an annoying clunk when it bows in when placed on your knee. Thankfully it's nicer with a strap. The neck, despite being smooth is not comfortable on account of the sharp fret ends and impossibly high action which makes fretting certain strings, particular the G and C actually quite painful! Plugged in it works, but there is no real reason why it shouldn't. It has steel strings and a single coil so it is not relying on a well seated piezo strip - these things are just easier to get right. Basically anything metal vibrating above the pole pieces of the pickup will make a noise. And it does. It makes a sound like a bright electric guitar with tons of sustain and a clean enough tone. Exactly what you would expect really. And it takes effects well too, and far better than a piezo pickup will. But again - that's to be expected here. But it's completely impossible to enjoy it on account of the fatally poor setup. In a fantasy land of this one actually being setup ok, I would simply say - sure - it sounds like a steel strung uke with a single coil. Sustains as expected and it just works. But that's really as far as it goes. With a solid electric it really is ALL about the build and setup. All in all, I completely despised doing this review. The setup issues are so fatal it makes it next to impossible to say anything nice about. I do understand that they won't all be like this. I simply can't ignore it though and pretend the issues are not there so it makes it completely pointless as an instrument. Sound wise, apart from the woeful intonation, is pretty generic and wasn't inpsiring for me either, but I recognise that if one is well set up you could have some fun with effects and get some interesting rocking tones out of it. As for the design, sure, it's a 'novelty' concept and may suit certain acts on stage, but it's not for me either because it is just so heavy and uncomfortable and I find the concept a bit cheesy. So it's a case of 'please go very carefully' with this one. Do ask around to get your own straw poll of satisfied vs dis-satisfied customers and I think you might start to find a pattern. I would certainly NEVER suggest you buy one of these blind either - you really need to be sat in a dealer putting it through it's paced before handing over your cash. Shocking that these can be sold in that condition. They are currently on sale on ebay for £60 plus postage. It was absolutely hillarious to see you cringing during the video review by the way! Thanks for your reviews - good or bad. We need to know and I for one, trust your judgement! Can't understand why the company wouldn't make sure they sent you a good one! Barry! The only setup it needs is to set it by the book shelf as a piece of conversation art. I'm really pleased you mentioned David Rebiere who's been doing this properly for ages! Indeed Phil - nice chap and actually doing it sympathetically. I couldn't go beyond about 9 minutes - Eric Morecombe would have loved it LOL.